On Thursday 02/22/2018 our Photochrome Club will have a field trip to the Golden Gate Park where we can photograph anything you like, (plants, flowers, structures, vehicles and even tourists). Hopefully there will be a few cherry blossoms. 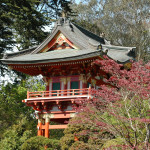 For this reason lets meet in front of the Japanese Tea Garden at 9:30 AM, then we’ll decide to either go inside the garden or check out the Botanical Garden across the street. Lets gather at the de Young Museum Café around 11:15 AM for coffee. If it’s a nice day, we can sit outside in the court.